Brainmeasures online creative writing course is well researched and comprehensive guide to teach you the art, techniques and tools of creative writing. This course is a collection of concepts that will help you to become a sought after creative writer. Brainmeasures online Creative Writing course and certification program teaches you the art and science of creative and professional writing. The Brainmeasures Creative Writing course is a certification course in the art and science of creative and professional writing. Creative writing consists of several different forms of literary work, and is not limited to writing novels, or other forms of fiction or prose. This course will give you the fundamentals needed to write creative and effective pieces that are in demand in many fields, including book writing, public relations, journalism, column writing, and many other exciting jobs. Read testimonials from successful writers in many fields, whom this course has opened up many doors and improved their skills greatly. .
Creative writing is a large and all-encompassing field pertaining to the creative and artistic presentation of ideas, information, and stories alike. Creative writing is a skill employed in advertising, review composition, critical pieces, and countless other fields. Many mistake creative writing as strictly a poetic or storytelling concept, but it is in fact the act of writing enjoyable and relatable literature for a multitude of purposes. In any field where you need to write documents or pieces that have a human interest, rather than just relating dry facts for the sake of documentation, the ability to write creatively is very important. People need to relate to your writing and the concept or information it puts forth, and walk away remembering what they have read. The ability to keep a reader interested, and absorbed is the trademark ability of a skilled writer, and the memorability of one’s work is the ultimate goal when composing any creatively-written document, regardless its purpose or goal. Brainmeasures Online creative writing course teaches many aspects of creative writing, including an overall understanding of the general field as well as commonly applied literary forms. Advanced language use and word flow. Relation to readers and immersive presentation. Consistency and flow throughout the piece, to ensure accuracy and an intact structure. Applications of creative techniques in a variety of uses and fields. Ways to put emotion and emphasis on a subject while remaining unbiased and objective where needed. people listening or reading, in any endeavor you pursue. making what you say or write all the more effective on the audience. Brainmeasures certification exam is based on multiple choice question format (each question has 3 to 4 answer options and you have to have to choose one or more right answer option).All questions of final certification exam will be based on Brainmeasures Creative Writing Course. 2. Show your reader the story, don't tell it. 3. Avoid verbosity and never use a long word when a short one will do just as well? 5. What is it called when a character has internal and external disagreements? 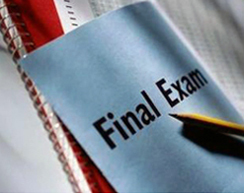 Final creative writing certification exam consists of multiple choice questions with one or more right answer options. Final exam is based on Brainmeasures creative writing courseware, if you have thoroughly gone through the courseware you won’t face any problem in clearing the certification exam. Follow these five simple steps and be Brainmeasures certified expert creative writer. As soon as you pay for this course you will be given access to the Brainmeasures online creative writer course and certification program). Go through the Creative Writing Course it will take from 15 days to a month to study the whole material, it entirely depends on your dedication and hard work. It’s just the difference of five steps between an amateur and certified creative writer. Brainmeasures Online Creative Writing Certification is very competitively priced at USD 40 which includes both course and certification fee. It is a perfect combination of intensive and extensive knowledge on the subject. Designed by experienced faculty, it is complete guide and touches each and every aspect of the subject and will help you master techniques of creative writing with perfection. 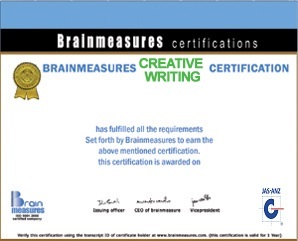 Why choose Brainmeasures creative writing certification. With the wide variety of jobs that creative writing applies to, and the never ending demand for professionals well-trained and skilled with its practice, finding a fulfilling and well-paying job is not difficult when you are a certified creative writer. Work in journalism, periodical publishing, public relations, advertising, reviews, and now even blog journalism and site content writing are just a few of the secure, and highly sought-after skilled professions that this course could make available to someone who applies themselves and puts into practice what it teaches. Naturally, it greatly enhances the chances of your novel being published and being successful as well, though that can’t be guaranteed, as that field is a bit unpredictable even for seasoned, best-selling authors. Employment change. Employment of authors, writers, and editors is expected to grow 8 percent, about as fast as the average for all occupations, from 2008 to 2018. 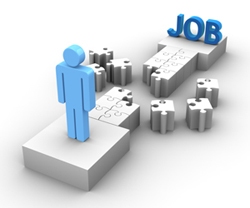 Employment in salaried writing and editing positions is expected to increase slightly as jobs become more prevalent throughout the economy. Median annual wages for salaried writers and authors were $53,070 in May 2008. The middle 50 percent earned between $38,150 and $75,060. The lowest 10 percent earned less than $28,020, and the highest 10 percent earned more than $106,630. Median annual wages were $58,740 for those working in advertising, public relations, and related services and $43,450 for those working for in newspaper, periodical, book and directory publishers. You can enroll in the Brainmeasures online creative writing course at any time of the year and complete it within one year of your enrollment. Access to your course materials will be provided the moment payment is processed. 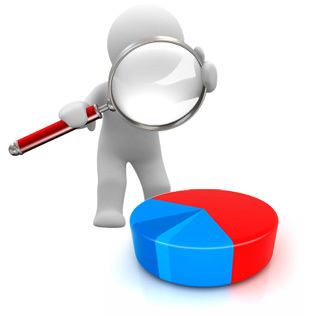 Brainmeasures Online business Analyst certification is a complete information portal and a-z study guide to teach you all the nitty-gritty’s of this field . Brainmeasures Online total quality management certification is a well developed course and certification program with all encompassing knowledge of Total Quality Management. Business writing skills has become important factor in every industry and it has become almost mandatory for managers and business executives to have thorough knowledge and understanding of Business writing. 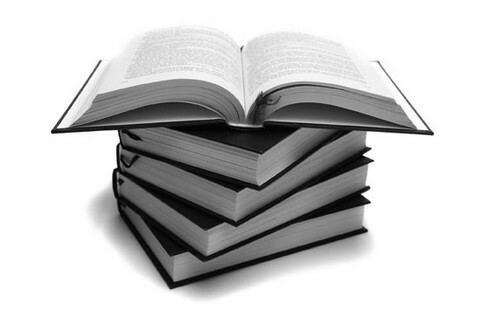 Why Brainmeasures Creative Writing Course available at such an affordable price ? Brainmeasures (an ISO 9001-2008 certified company) offers its Creative Writing Course material (leading to certification exam ) developed by professional writers at very affordable price only for limited time span and soon its prices will be reviewed. CHAPTER 2 – Are you a creative writer? So after searching for a few different topics – creative writing certification, creative writer certification, author certification, I found the course for how to become a creative writer on brainmeasures.com. Thank you, brainmeasures.com, for your amazing online creative writing courses. My blog was going nowhere, no matter how much effort I poured into it, and I couldn&rsquo;t figure out why. But then, looking at the successful blogs, I realized that it was because my writing skills were just not up to par. Having always wanted a job in the journalism field, I decided it might be best to start with getting a creative writing certification. After a lot of searching and comparing, I found that the one on brainmeasures.com was the best one going, and it wasn't expensive by comparison. So after a month of intensive study, and a comprehensive test, I have my author certification now. I'm starting my new job at an online press release site next week and I can't wait. If you're looking to become a certified creative writer, and don't have time to attend a creative writing school, this is the best place to go. Seriously, brainmeasures.com is the place to look if you want to become a creative writer. When I'm ready to write my novel next year (I hope), the book writing certification aspect is a blessing too. Brainmeasures.com has the best content developer course and commercial writing certification system I have ever seen. Being in the publishing industry, I need to keep my vast writing staff well-educated in this ever changing field, and it was expensive to keep sending them to classes or hiring new blood every quarter. Thanks to brainmeasures.com I have a long term, standard plan for keeping my existing employees up to speed on the changing face of literature and the written word. And it's affordable to boot. 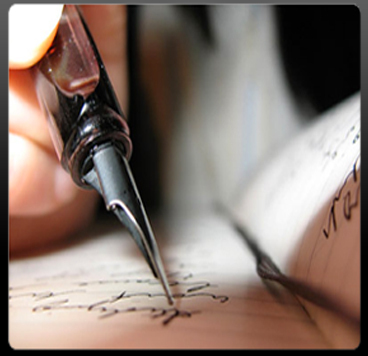 Online creative writing is a challenging field for a freelance writer like me. Thanks to brainmeasures.com, though, I am able to get all of the commissions I can handle. Their creative writer certification course has given me the credentials to garner the attention of big companies and well-paying individuals alike. I am so grateful for brainmeasures.com, they have changed my life for the better no doubt. I recommend their affordable creative writing certification without hesitation. Give this a try, and don't thank me for recommending it, thank breainmeasures.com for being there for us all! I'd been promoted to a PR writer at my company, and I didn' know a thing about writing in that regard. I drafted reports and presentations, and those are only entertaining or noteworthy to people sitting behind the big desks in the corner offices. I was sweating bullets. Then I discovered brainmeasures.com and their writing certification courses. Now I'm a certified creative writer who can create effective, dynamic content that relates my company to the world with flying colors. I am so happy I found brainmeasures.com and their creative writing courses. They're a lifesaver. Try it, you will not be disappointed.